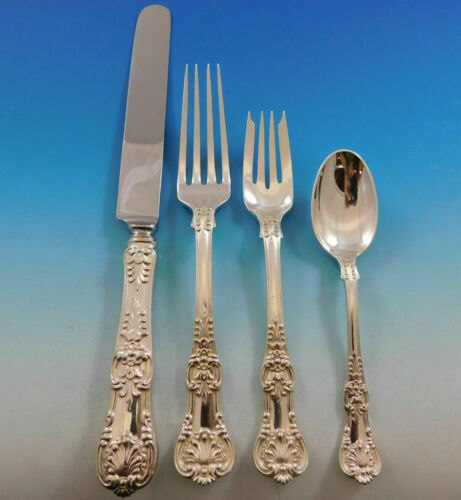 $189.99 STERLING Silver Kings Pattern Set of 5 Dinner Forks! W/Monogram, 249.1g LOOK! 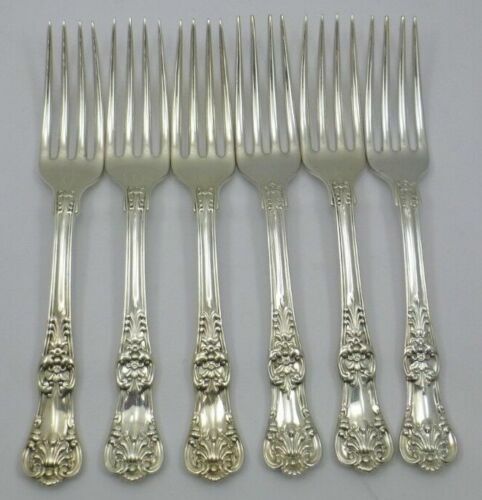 $280.0 2 Antique Victorian English Kings Pattern, Sterling Silver Forks.7 1/16". 1875. 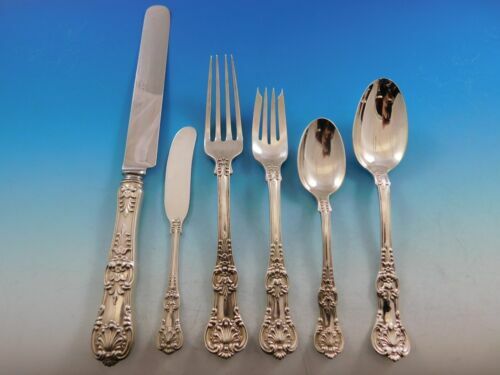 $259.0 English King by Tiffany and Co Sterling Silver Pate Knife Original 5 3/8"
$910.0 Antique English, Sterling Silver Queens Pattern Forks (English Kings) 8"
$289.0 English King by Tiffany & Co. Sterling Silver Medicine Spoon 5 1/2"
$895.0 TIFFANY ENGLISH KING ICE TONGS 7"
$1050.0 Set 6 English Sterling Silver Queens Pattern Forks (English Kings) 8.25"
$259.0 English King by Tiffany and Co Sterling Silver Fish Fork with Wavy Tines 6 1/2"
$295.0 15 pieces Tiffany and Co. flatware silver ep English King pattern ? Server, etc. 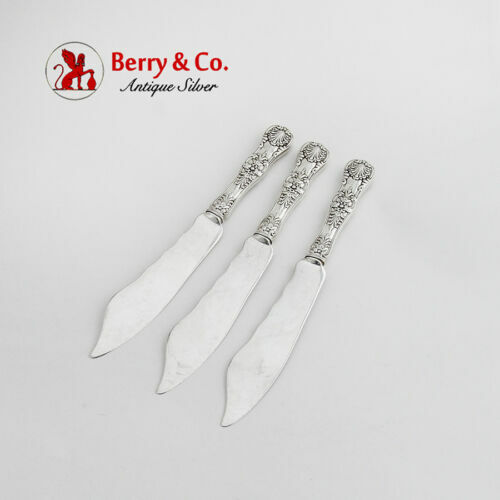 $189.0 English King By Tiffany & Co. Sterling Dinner Knife Blunt Silverplate 10 5/8"
$1070.0 Set 6 English Sterling Silver Queens Pattern Forks (English Kings) 8". 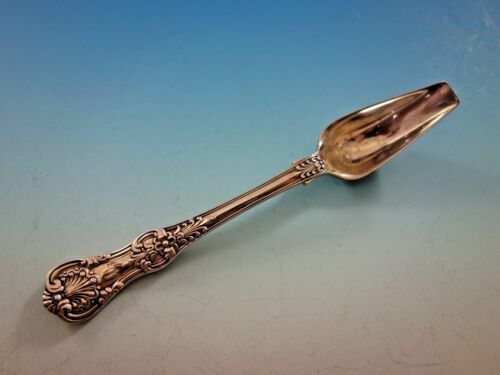 $525.0 2 Antique English Kings Pattern, Sterling Silver Table Spoons. G Adams. 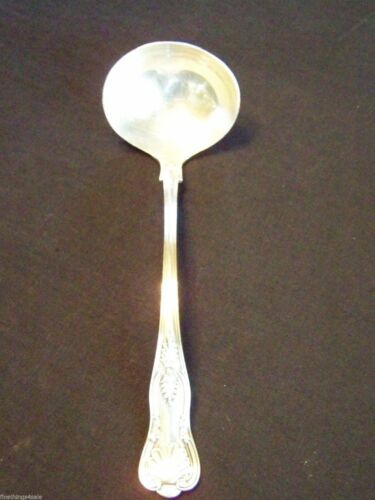 8.85"
$800.0 English Kings Pattern, Sterling Silver Spoons. 8" Long. Searle & Co. Set Of 6. 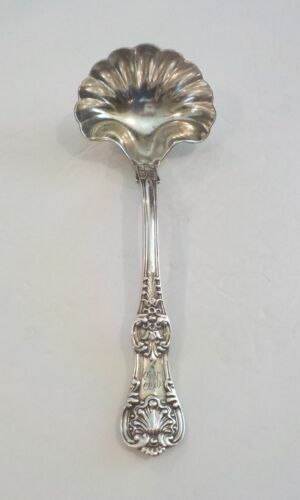 $259.0 English King by Tiffany and Co Sterling Silver Cold Meat Fork Pierced Flared 9"
$509.0 English King By Tiffany & Co. Sterling Silver Roast Carving Set 2-PC 14" & 11"
$900.0 4 Antique English Kings Pattern, Sterling Silver Table Spoons. G Adams. 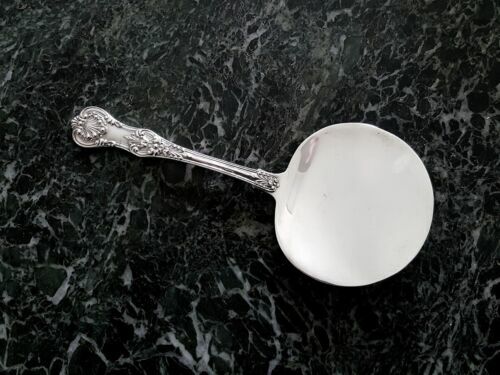 8.75"
$289.0 English King by Tiffany and Co Sterling Silver Mustard Ladle GW Original 3 7/8"
$159.0 English King by Tiffany and Co Sterling Silver Grapefruit Spoon Original 5 3/4"
Buy: $149.99 Tiffany Large 2-Piece Roast Carving Set, English King (Silverplate) No monogram. $1159.0 English King by Tiffany and Co Sterling Silver Gumbo Spoon 4-piece Set Custom 8"
$189.0 English King By Tiffany & Co. Sterling Dinner Knife Blunt Tiffany SP 10 1/4"
$259.0 English King by Tiffany & Co. Sterling Dessert Knife HH All Sterling 7 5/8"
$799.0 English King by Tiffany & Co. Sterling Silver Salad Serving Spoon Long Fancy 10"
$1100.0 Sterling Tiffany & Co. ENGLISH KING large soup ladle - 12 1/2" HEAVY!